A low-carb diet is a diet that restricts intake of carbs, such as those found in sugary foods, pasta, and bread. It is high in protein, fat, and vegetables. 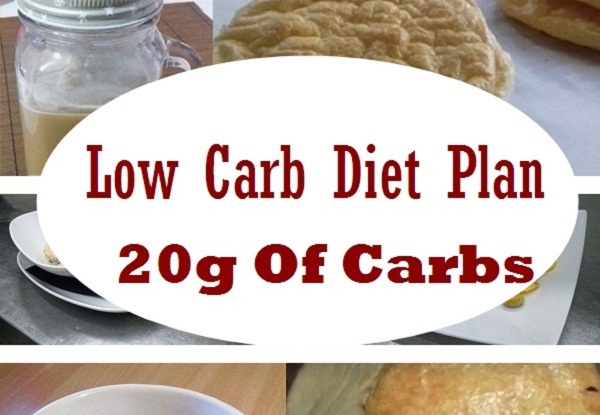 There are many different types of low-carb diets. But with this diet, you can cause weight loss and improve your health. This is a detailed meal plan for a low-carb diet. What to eat, what to avoid and a sample low carb meal menu for one week. What foods you should eat depends on a few things. It depends on your health, how much you exercise and how much weight you wants to lose. While bread and fruit may be out, you can create a number of simple and tasty meals that fit your plan with meats, cheese, eggs, low-carb plant proteins, fats, and veggies. You will use “net” carbs to track your daily carb needs. Net carbs are the digestible carbs. They can affect blood sugar and are determined by subtracting fiber grams from the total carb count. Due to potential side effects when limiting your carbs to 20 grams a day, please consult your doctor first to discuss benefits and risks. Carefully track your carb intake at each meal to help you stay within your limits throughout the day. For an almost carb-free breakfast, you might have a scrambled eggs with bacon and half of a sliced Haas avocado for 1 gram of net carbohydrate. Mix up a batch of low-carb pancakes using eggs, coconut flour, unsweetened almond milk and artificial sweetener. Therefore top with butter and serve with cooked ham for a breakfast with 4 grams of net carbs. 1/2-cup serving of cottage cheese mixed with 2 tablespoons of chia seeds – supplying 4 grams of net carbs. Determine what carb-free protein you want to eat for lunch and build a meal around that to help you stay within your 20-gram daily carb restriction. Canned tuna, mix with mayo, toss in diced celery and onion and serve on top of a small tomato or in a lettuce leaf – 4 to 5 grams of net carbs. Make a stir-fry with chicken, 1 cup of bok choy, 1/2 cup of mung bean sprouts, 1 cup of broccoli, sesame oil, 1 tablespoon of soy sauce and ginger. Just 5 grams of net carbs. You don’t have to eat meat at every meal. Cook up soy meatless crumbles with your favorite taco seasoning. Mix and serve in a low-carb tortilla with 1 ounce of shredded cheddar cheese. With 1/2 cup of the meatless taco filling. (4 grams of net carbs). Baked tofu seasoned with a 1 tsp of tamari sauce, a tablespoon of apple cider vinegar, olive oil, garlic, and ginger. (2 grams of net carbs per cup). Serve with a cup of mixed greens topped with 1/2 cup of sliced cucumbers and a tablespoon of ranch dressing to add 5 grams of net carbs to this lunch meal. Keep your kitchen stocked with protein and low-carb veggies to make dinner a breeze to put together. Spicy chicken wings with 1 cup of green beans – just 6 grams of net carbs. Boil up a pork loin and serve with 1 cup of roasted turnips and 1/2 cup of roasted broccoli – 7 grams of net carbs. For a meatless low-carb meal, spread 1/4 cup of whole fat ricotta cheese evenly between three thin slices of eggplant. Roll and top each with a thin slice of tomato and cover with 1 ounce of mozzarella cheese. Bake in the oven until the eggplant is soft and cheese is melted. This meal have 5 grams of net carbs. If you have a couple of net carbs to spend, 19 pecans or ham and Swiss cheese rolls work. A cup of lettuce topped with 2 T spoons of crumbled blue cheese and 2 tablespoons of Caesar dressing – 2 grams of net carbs. Bake an egg in half of a Haas avocado for 2 grams of net carbs. boiled shrimp, hard-cooked eggs or a cup of chicken or beef broth. Rolled roast beef with mayonnaise, an 1 oz of cheddar cheese or 5 green olives. Water, decaf tea, and coffee are the best carb-free beverage choices. Therefore, use artificial sweeteners to add a touch of sweetness. Unsweetened almond milk is also low-carb. It’s makes a creamy drink option or a liquid base for a low-carb smoothie.